To those who make us who we are, Jeff Gordon Chevrolet in Wilmington, NC is proudly offering special pricing to all educators and employees of local public schools, private schools, colleges, and universities through January 2nd, 2015. 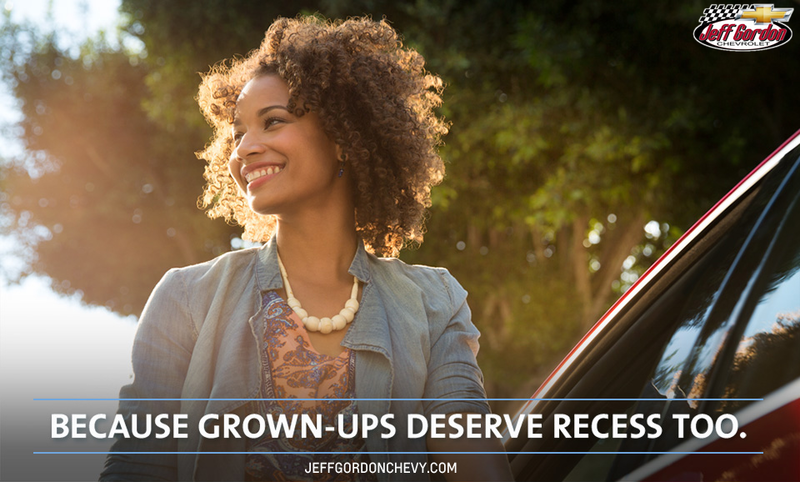 And, educators who come test drive a new Chevrolet will receive a $50 gift card! No commitment or purchase is required! Pick out a new Chevy that you’d like to take out for a spin! Go for a drive and enjoy! After you’ve had your fun and you return to the dealership, your salesman will give you a handout with a validation code, which you’ll enter on ExperienceChevroletToday.com to complete the validation process! Wait for your $50 Gift Card in the mail! While you’re waiting, tell your colleagues about the easiest fifty dollars that you’ve ever made. *Offer valid while supplies last or until December 31st, 2015. This is a private offer, limited to original recipient only. Eligibility verification will take place upon registration. Drivers must be age 21 or over with a valid drivers license. Limit one gift per person. To take advantage of your discount, register for an account here to get your discount code. Bring that code into your salesman at Jeff Gordon Chevrolet and save! To schedule your appointment to test drive or learn more about the GM Educator Discount program, call (910)798-2650 or simply send us an email by filling out the contact form below! Over the weekend, Jeff Gordon Chevrolet in Wilmington, NC received its first 2015 Chevrolet Silverado 2500HD. The 2015 heavy duty trucks are now carrying the same redesign that was loved so much on the 2014 Silverado 1500’s. This particular truck is summit white with jet black/dark ash cloth interior, with a 6.0L V8 diesel engine, 4 wheel-drive, and double cab. Click here to view more pictures. In addition to this unit, we currently have over a dozen other heavy duty trucks in stock. Click here to view all 2015 Chevrolet Silverado 2500HD inventory. 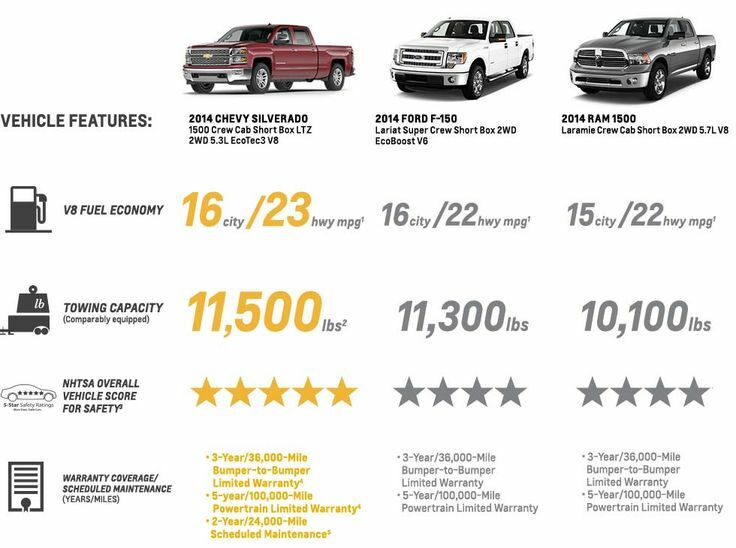 The new 2015 Silverado 2500HD’s MSRP starts at $31,310. And with 9 different color options, 5 available wheel styles from 17″-20″, 3 trim levels, and 5 different body styles, it’s sure to be a perfect fit. The new 2500HD has a maximum towing capacity of 17,900 pounds (almost 2 and a half times its own weight) so you can be confident that it will get the job done right without compromising performance. Other great features include: Hill Start Assist, Trailer Sway Control, Diesel Exhaust Brake System, Rear-Vision Camera, and Trailer Brake Controller. The 2015 Silverado HD features a new interior designed to bring you three key things: more comfort, less noise and a seamless connection to your digital world. First, the cabin is quieter, thanks to triple door seals and aerodynamic enhancements to the exterior. Redesigned seats offer more comfort and support. An all-new instrument cluster features a six-gauge cluster and integrated center control display. All knobs and buttons are larger to accommodate gloved hands. Silverado HD’s new available 4.2″ diagonal color Driver Information Center lets you choose from a menu of display themes to select what information you see – and how you see it. And, its new available 8″ diagonal color center touch-screen is your connection to Chevy MyLink. It’s your seamless connection to digital content. From the contacts and music playlists you’ve got stored in your smartphone, to a selection of on-screen apps like Pandora®, to the available MyLink with Navigation, the screen provides instant access to the information and entertainment you want. To make getting in and out of the second row easier, Double Cab models of the Silverado HD now feature forward-hinged rear doors. Once you’re inside the Crew Cab, there’s nearly 2″ of additional rear-passenger leg room than the previous model. And one of the best features that comes standard with all new Chevys: Chevrolet Complete Care. Chevrolet now offers 2 years/24,000 miles of free scheduled maintenance, including Diesel Exhaust Fluid (DEF) fill ups for the 2015 Silverado 2500HD. Add to that our already impressive Powertrain Limited Warranty and Bumper-To-Bumper Limited Warranty for up to 3 years or 36,000 miles, and you get the Best Pickup Coverage in America. 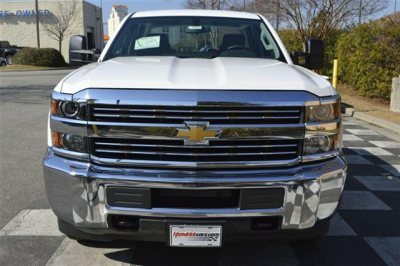 For those interested in getting the best deal on a new heavy-duty truck, Jeff Gordon Chevrolet still has two 2013 Silverado 2500HD’s available for sale of which buyers can take advantage of $5,000 in total cash allowance (rebates) or 0% financing for 60 months. Update 5/14/14: The 2 remaining 2013 Silverado 2500HD’s have been sold. But you can click here to view current incentives and rebates available on the 2015 models! You can also create your deal online using Shop-Click-Drive: a revolutionary new way to buy or lease your next vehicle. Shop-Click-Drive allows you to accomplish everything you would in the dealer showroom right from your home and work computer! Just pick the exact vehicle you would like to own, value your trade, get pre-approved for financing, determine your monthly payments and figure out how much money you need to put down to get your desired payment range! Once you’re satisfied with your deal, schedule a time to pick it up at Jeff Gordon Chevrolet or tell us when you want us to bring it to you! To schedule a test drive, call the internet sales hotline at (910)798-2650 or (888)261-0090. Or, you may fill out the contact form with any questions about the new 2015 Chevrolet Silverado 2500HD, current rebates, incentives, or discounts, or the Shop-Click-Drive program!